GeniAus: Do you know Peg? 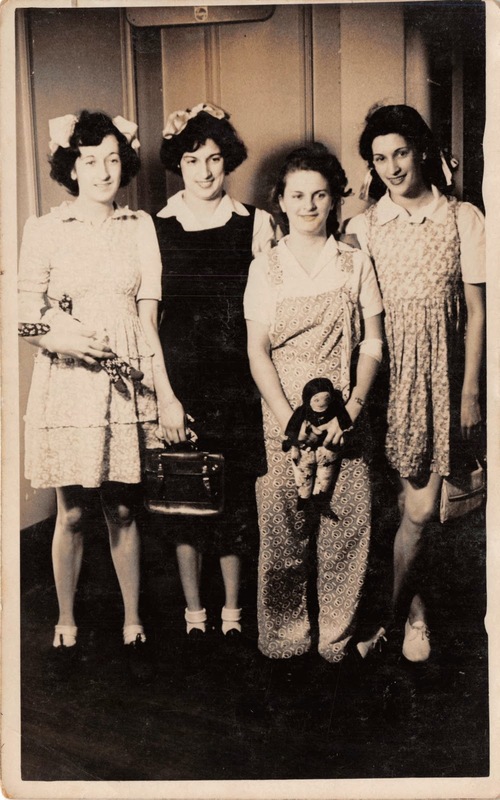 I recently found this photo of Mum with two of her sisters, Kathleen and Eileen, and a friend named Peg. It may have been taken in Cobar or Kensington, NSW in the early 1940s. Isn't that an interesting photo? I don't know Peg. I'm trying to work out what's behind them. Is it a fold down bed or a lift well? It looks like they're standing in a foyer about to go somewhere.